Our primary goal is to cater to long-term plans as opposed to emergency patch-ups. We promise to treat you as a whole individual, not an appointment and will work in partnership with you to achieve your particular dental goals. Although we've been here a long time, there is nothing old or stale about us; we are a professional team who keep abreast of current knowledge, skills and technology so that we can continue to provide brilliant smiles for years to come. We provide same-day dentistry 90% of the time, with same-day crowns and implants available. We offer a free consultation for dental implants, too. Of course, we won't make you wait for an appointment if you're in pain. Contact us today. At Comfort Care Dental, your comfort means everything to us. Since opening our doors in the mid-1970s, our goal has been to treat each patient as if they were members of our own family. For the past 40 years, we have delivered healthy smiles to three generations of the same families, in the same location. Balcatta Dentist Karthik Lakkaraju loves to care for every member of the family. We are always happy to invite new members into our practice family. We are well-known in our community, support our local schools and enjoy raising money for cancer research. We understand that every person has different needs at various times in their life and it’s our individualised care and personal service that sets Comfort Care Dental apart. 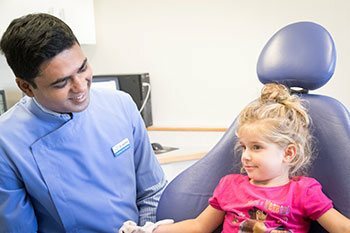 Our dentist Balcatta Dr Karthik and the team practice with the motto, “Ask as many questions as you like,” because we know that engaging in questions and answers helps you feel at ease and get your concerns addressed. We also love keeping up with our families, and knowing what’s happening in their lives. It may seem simple, but it’s this open, two-way communication that keeps Comfort Care Dental alive and welcoming. And if English isn’t your native language, our diverse staff members will be happy to answer your questions in Macedonian, Italian, Serbian, Hindi, Telugu, Kannada, and Afrikaans! Contact us today to see how we can help you with the smile you deserve. Same-day and Saturday appointments are available! "I look forward to meeting you and your family."